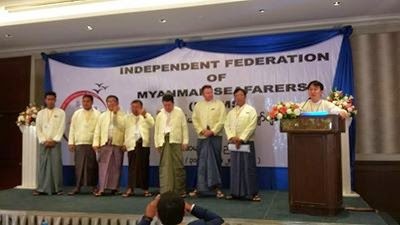 On March 30 & 31, Independent Federation of Myanmar Seafarers’ Inaugural Congress successfully held in Chatrium Hotel’s Grand Ballroom 1. IFOMS has established on June-03-2014 with 360 members. International Transport Workers’ Federation has been training trade union knowledge, Governance, organizing Strategy & Case Handling since 2014. 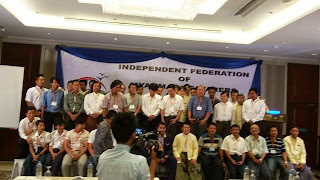 Our LRDP also gave training about FOA to IFOMS’ Executive members. 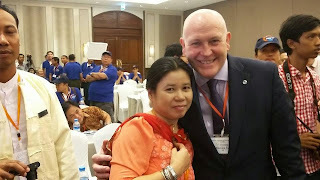 General Secretary of the ITF, brother Stephen Cotton attended IFOMS Congress and elected ECs positions by democratic way. 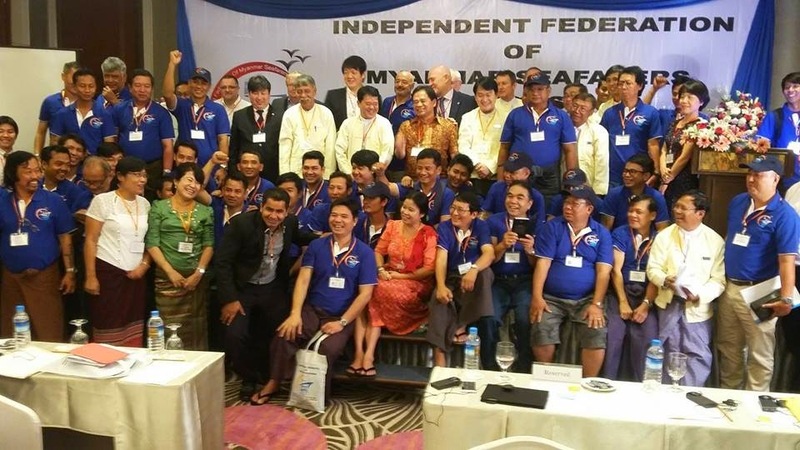 We believed that IFOMS will promote and defend Myanmar Seafarers’ rights in the future. Stand Together, Stand with IFOMS!!! 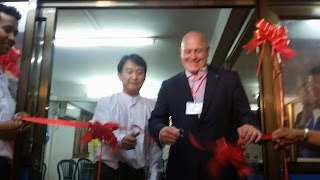 IWT - Inland Water Transport, Myanmar.